"Radiation has no effect on the brown mice... or so we thought! We knew they were much more craftier than their white and grey counterparts but we did not realize the oh-so-minute changes after initial experimentation. They got faster, stronger, smarter and much more dexterous. Due to their exceptional genetics, it took years for the radiation to hit critical mass and finally we now see the results of our years of testing. Strangely enough, they seem to move about and resemble early man. Now we must... Oh wait, no! They got out! Quickly! Turn on th......"
In the Acolyte Realm and Forbidden Grove locations, the Mutated Brown Mouse is attracted only to Radioactive Blue Cheese. In the Bazaar location, the Mutated Brown Mouse is attracted to Standard Cheese and Gilded Cheese. In the Laboratory location, the Mutated Brown Mouse is attracted to Standard Cheese and Radioactive Blue Cheese. No Charms are required to attract the Mutated Brown Mouse. The Mutated Brown Mouse is weak to all Power Types (except Parental). However, in the Forbidden Grove, and Acolyte Realm locations Shadow or Arcane weapons will be effective against a larger group of the available mice. The Mutated Brown Mouse drops Stale Cheese as loot in the Forbidden Grove and Acolyte Realm locations. The Mutated Brown Mouse is not known to drop any loot in the Laboratory or Bazaar locations. Attraction info and special event loot drops for the Mutated Brown Mouse can be found at the individual event location pages. 17 October 2013: The Mutated Brown Mouse was released at the start of the Halloween 2013 event. 17 October 2013: The Mutated Brown Mouse was released to all the same locations as the Mutated White Mouse and Mutated Grey Mouse. 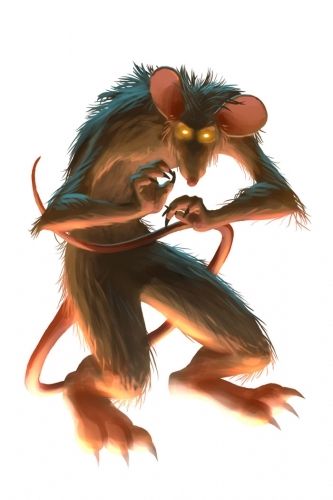 25 March 2014: The Mutated Brown Mouse gained a vulnerability to Rift power type traps, with the introduction of the Rift Plane. 9 September 2014: The Amplified Brown Mouse mouse was introduced as the Rift counterpart of the Mutated Brown Mouse. 17 October 2018: The Mutated Brown Mouse changed mouse groups from Indigenous Mice to Lab Experiments and also was removed from the Mousoleum.